We’ve all heard these responses before: “when life gives you lemons, make lemonade” or “don’t cry over spilled milk” — yea, because normal people cry over things like that. Without much thought, we anticipate that the response (when we share our struggles) will be “it’ll get better,” “pray about it,” or “God’s going to work it out." But sometimes words just aren’t enough when you’re feeling discouraged or down! I’ve been there a time or two, or ten; seeking validation through the kind words my friends and family provided to me, while I was standing at a crossroads. Don’t get me wrong, these words are comforting and nice to hear, especially when you feel down and out. But the downside is, these words of comfort are just a temporary band aid. What do I do now? Where do I go from here? How can I make tomorrow better? What if there isn’t anyone to lean on? The Lord said “My Presence will go with you and I will GIVE you rest.” (Exodus 33:14) Think about that for a moment. It means you don’t ever have to worry in any situation because He will sustain you. If you seek Him, He will be there and give you love, joy, peace, happiness, words of encouragement, and REST. Like James 4:8 says, “Draw near to God, he will draw near to you." HOW DO I GROW CLOSER TO GOD AND AWAY FROM DISCOURAGEMENT? Read your Word daily. Why do you think it’s called daily bread? The Word will undoubtedly provide your heart with the substance it needs, as well as an abundance of joy that can not be found anywhere else but through God. Set aside time before work, bed or in the middle of your day for a devotional (or be an overachiever and do all 3!) . The “Bible” app by YouVersion provides great FREE devotionals for your everyday lives. This app also provides daily reminders for your devotional reading so you won’t miss a beat. Set small goals by making a checklist or a vision board. This will help you to see exactly what things you have accomplished as well as help you set personal and spiritual goals. Nothing like a little positive reinforcement! Surround yourself with like minded people. This is very important! If you are constantly around people who do NOT support you and encourage your every dream and desire, you may need to do some evaluating. Lastly, start a prayer book. Ask God for guidance and peace for the situations in your life that may be out of order. 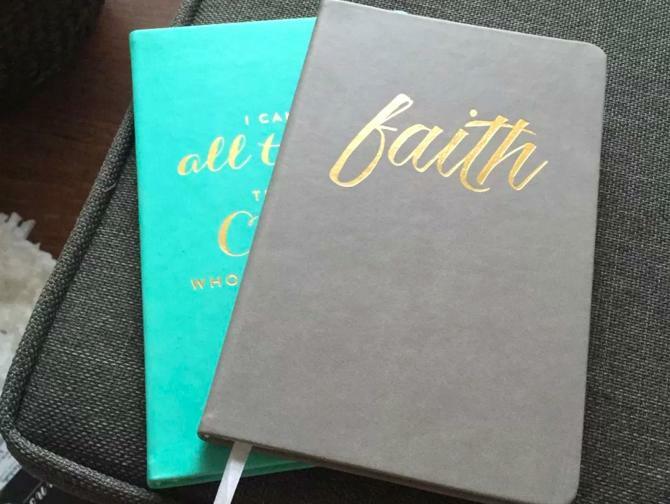 You can compose you prayer book however you like (ie: write a letter, do bullet points, write down your favorite scriptures, or what you learned today). Just make sure that there is a dialogue between you and God, distraction free. Make the best of all situations and know it's God's plan. Cheers to spilled milk, and even that not so refreshing glass of lemonade we’ve all had to take a sip of. One day soon, you’re going to look back and be able to tell somebody else how that spill didn’t kill you, it made you stronger!